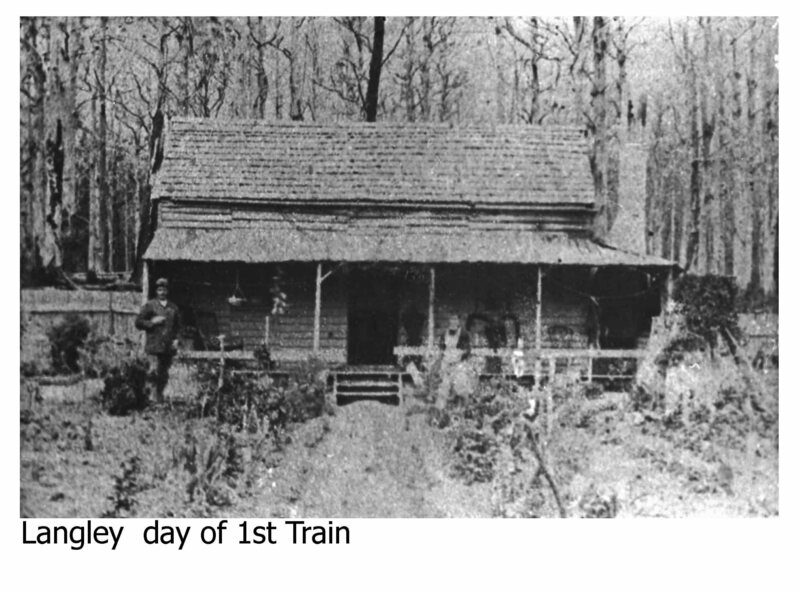 Family homestead in 1890's. The day the first train rolled through the district. 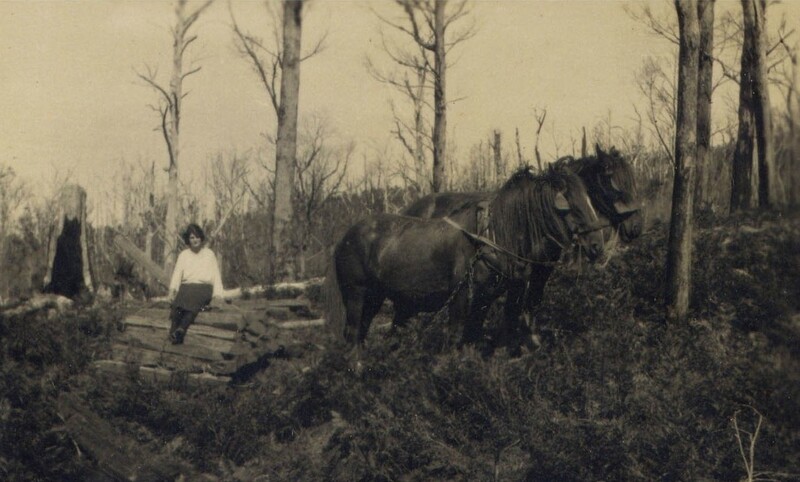 In the early 1880’s William Nicoll walked into the South Gippsland bush to select land to lease. 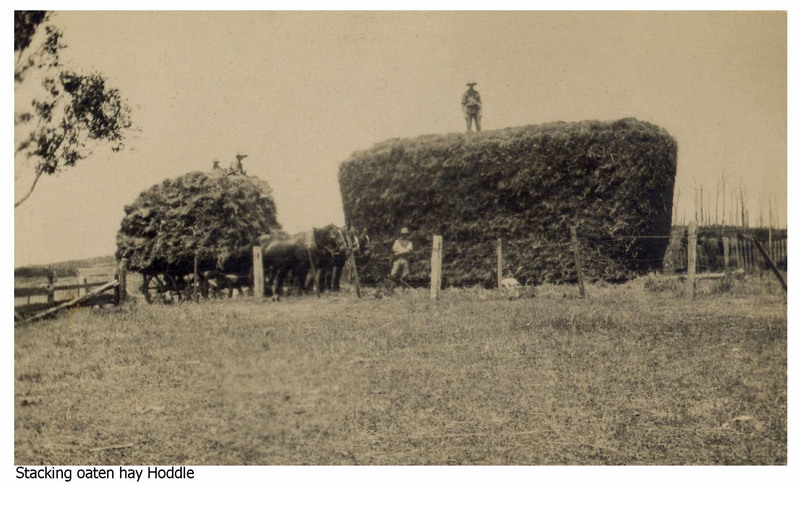 With the assistance of a cousin he cleared some land north of the Hoddle Range and built a hut. 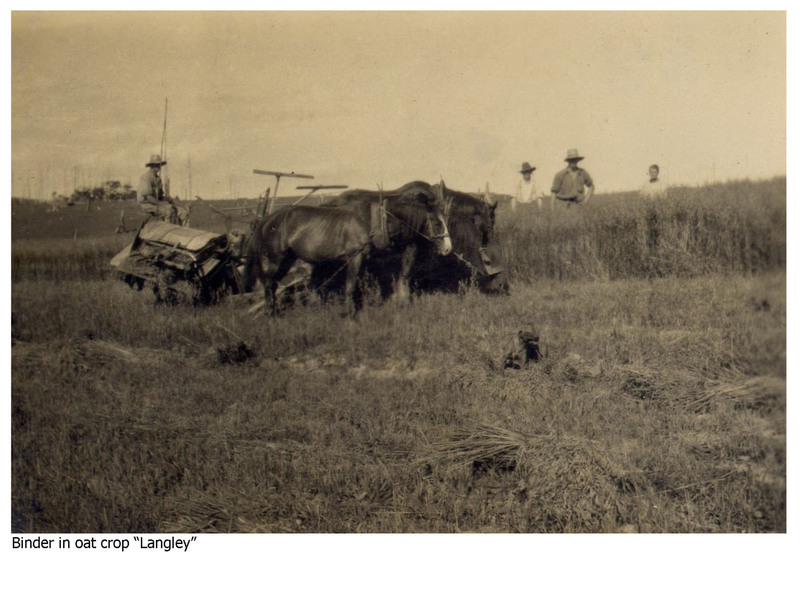 Six years after he arrived his wife joined him from her family farm in northern Victoria. In the 1890’s the railway to Melbourne was built cutting through the family farm. The area of land on the north side of the railway became “Montrose” named after the town in Scotland William hailed from. On Williams death his son’s, Hugh & Charlie managed the land as one business. They worked hard to clear the land. “I could fairly correctly say that from the time I left school, until I was about thirty years old, I walked almost all the daylight hours, following plough or harrows or other implements, with no seat on them either” Hugh Nicoll. In 1936 the first milking machines were installed, with butterfat worth one shilling per lb, times were tight, some land was sold to clear debt and build rabbit proof fences. Today the core of the current Montrose Dairy is land which has been farmed by the family for over 120 years. All photos are from private collections, please do not reproduce without prior consent. I LOVE LOVE LOVE your website!! !